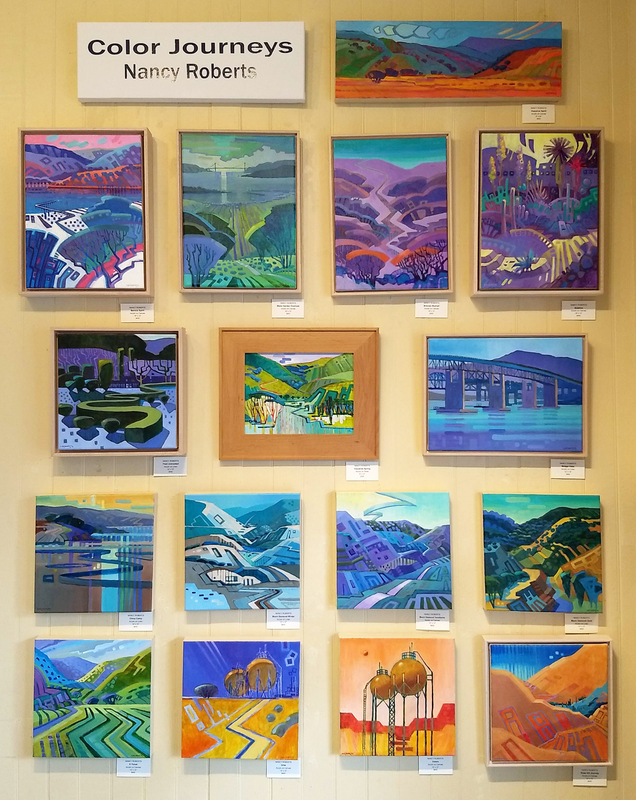 Honored to be the featured artist at Benicia Plein Air Gallery with my solo show Color Journeys, on display now through May 5! I'll be staffing the gallery Friday & Saturday, April 19 & 20, and Friday, April 26 if you'd like to visit while I'm there. 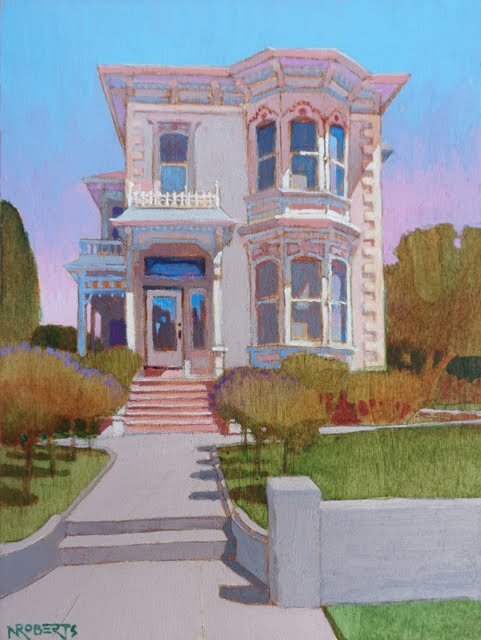 I'll also be at Benicia Plein Air Gallery during Benicia Open Studios, Sat May 4 and Sun May 5, hosting my show and doing informal acrylic painting demos. 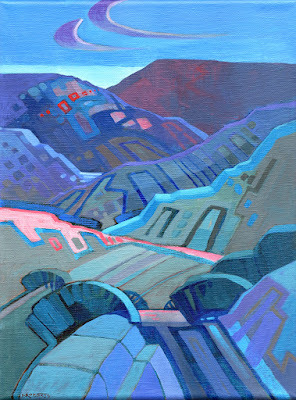 Most of the gallery artists will be there too, with a special collection of paintings, prints and cards. Several of them will be demonstrating, too. This is a great chance to meet our talented team and see what's new! 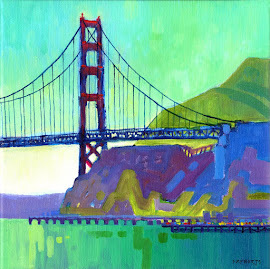 Benicia Plein Air Gallery, 307 First St., is in the heart of historic downtown Benicia. 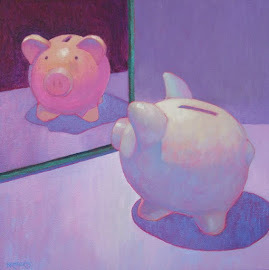 Learn more at www.BeniciaPleinAir.com. 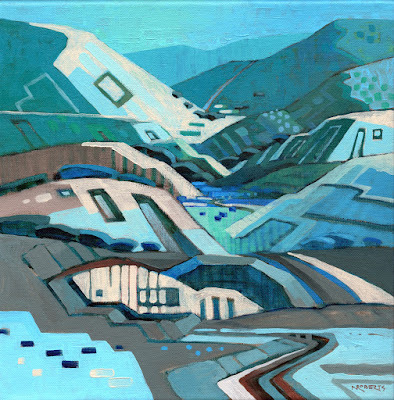 Plein Air Acrylic Painting Demonstration, Concord Art Association meeting, Saturday, July 27, 1:30 - 3:30 pm, Concord Library, 2900 Salvio St, Concord, CA 94519. Open to the public, admission is free. 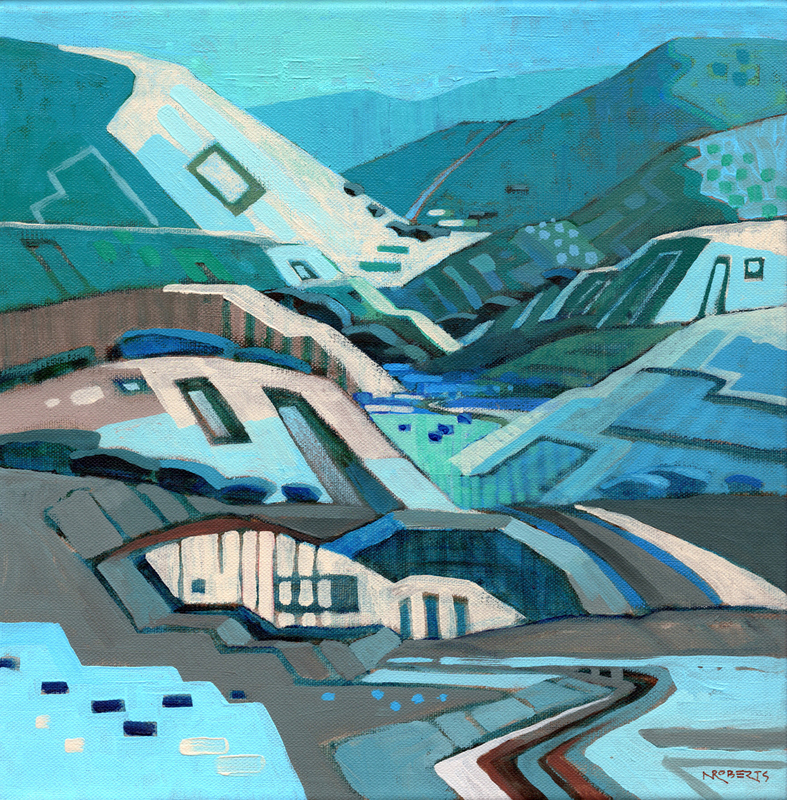 Bay Area artist Nancy Roberts is known for her bold use of color, dynamic design and inventive, slightly quirky style. She loves working from life but thinks of reality as just a jumping-off point. "I start by paring a thing down to its essence," she says, "then respond to its spirit with energized color and pattern." She enjoys letting a painting unfold with a life of its own, taking unexpected twists and turns and revealing hidden secrets with its own language. 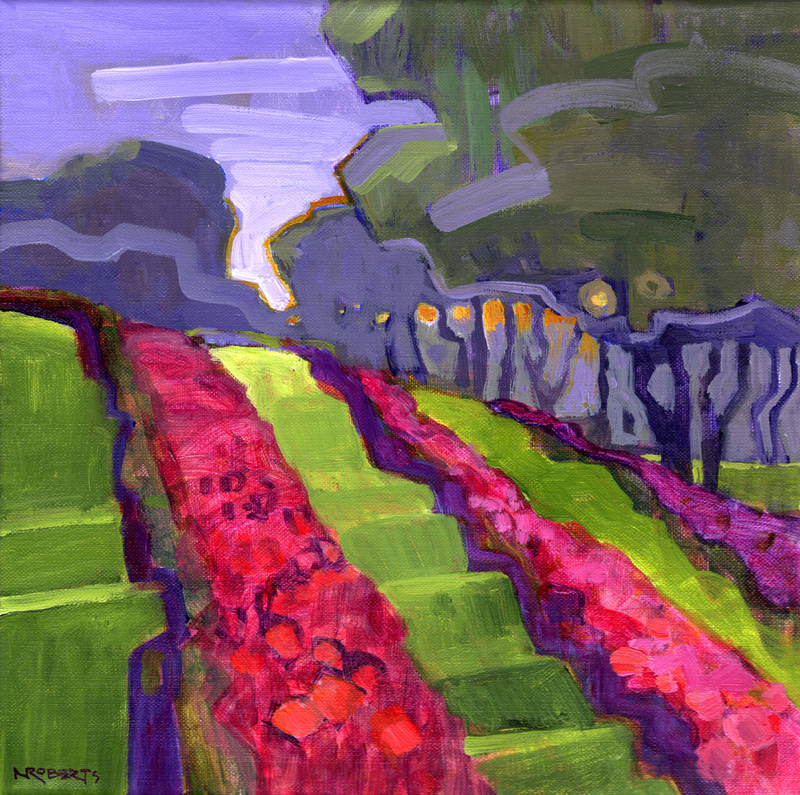 Her crisp lines and joyful color put a fresh new spin on the landscape tradition. An avid plein air painter, popular art instructor and retired architect, Nancy is represented by Benicia Plein Air Gallery in Benicia, CA,Valley Art Gallery in Walnut Creek, CA, and online at www.DailyPaintworks.com. 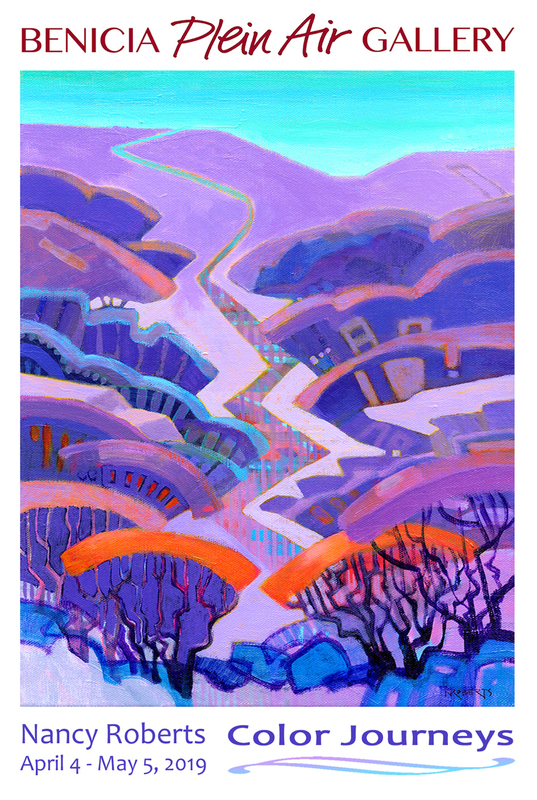 You can order prints and gift items featuring Nancy's artwork through her shop on Fine Art America. 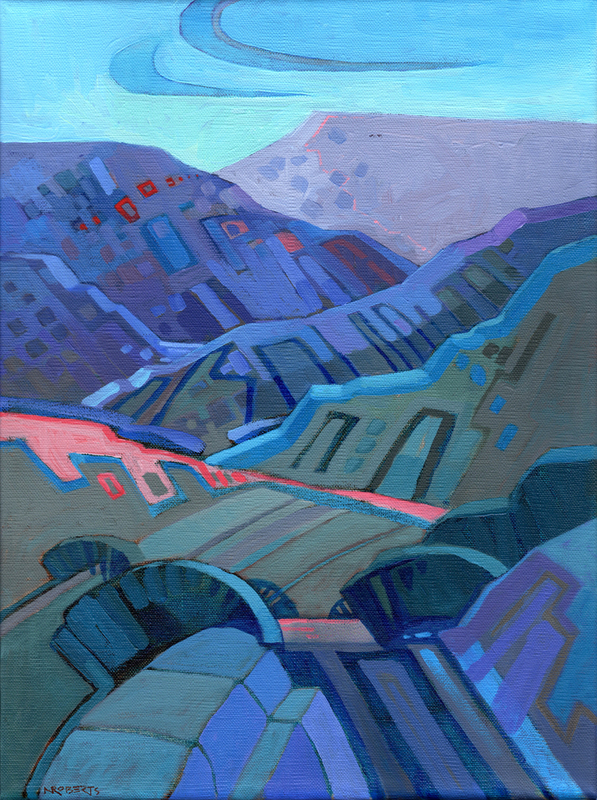 Here's a newly-revised version of a painting I started a few months ago at Mitchell Canyon, a beautiful valley at the base of Mt. Diablo in Northern California. I liked the painting's structure, but felt it needed some lightening and brightening to really bring it to life. 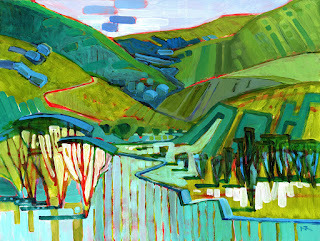 I love having the freedom to give my paintings a make-over when they ask for it! 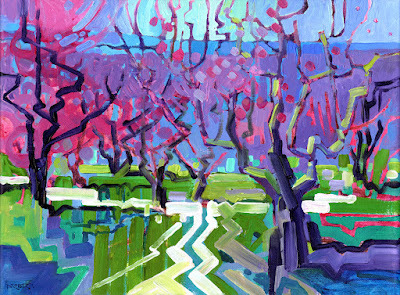 Every year the peach orchards in Brentwood burst into bloom with spectacular pink flowers. It was a joy to paint there with friends on a sunny Spring day! I've been enjoying my studio time during this cold weather. Finished this one today, started at Black Diamond a few months ago. Hoping to convey the feeling of a mysterious terrain mantled in subdued colors and icy light. Started this painting alongside Judith Kunzle and Samantha McNally, and finished in my studio today. Mitchell Canyon is a trailhead in Mt. Diablo State Park with beautiful views up the mountain's northern slopes. I love the gentle rhythm of the foothill ridges folding back and forth as they climb toward the summit.